Arugula is a very popular salad green. Its flavor is pungent, hot and peppery. The leaves can be made into a salad by themselves and mixed with fresh fruits to calm the flavor, or mix with other milder greens and raw vegetables to make a nice salad. 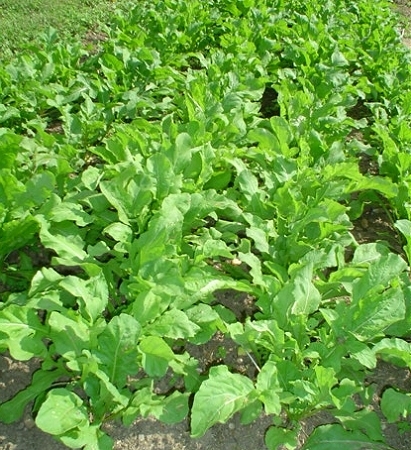 Arugula can be cooked as a green vegetable and served with meat, pasta or as a topping for pizza. You can also add it to omelets or put add it to sandwiches for added pizzaz.